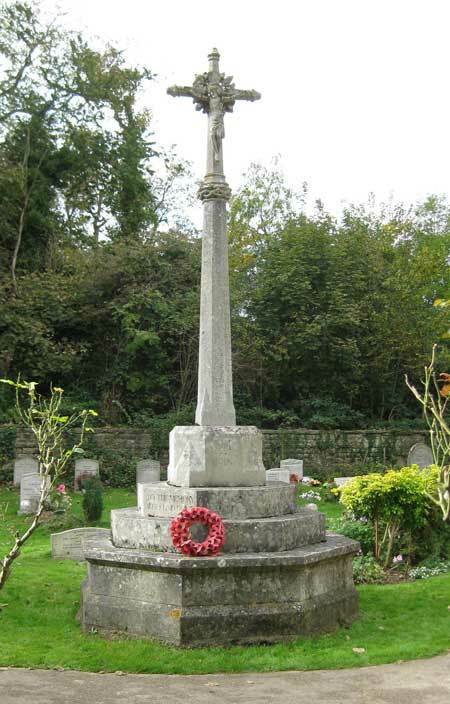 The ecclesiastical parish of Headington Quarry had a total population of 2,362 at the time of the 1911 census, and it lost 45 young men in the First World War. 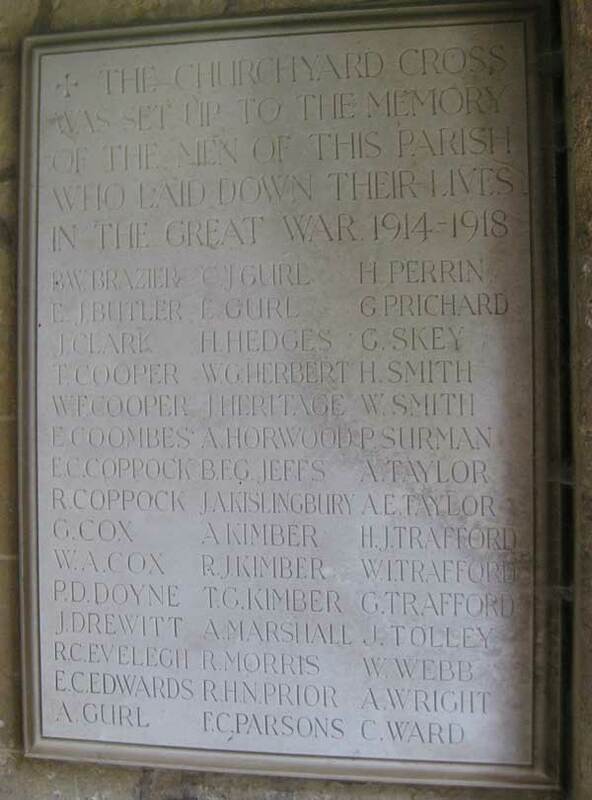 The names below are listed on a stone tablet in the church porch: they are in the order in which they appear, which is not strictly alphabetical. Aubrey Gurl and Cyril James Gurl were brothers. St Andrew’s Church also claims Bertie Jeffs and Tom Kimber as its own. Henry James Trafford and William Isaac Trafford were brothers. James Grace of Great Milton (17329) [CWGC]. He died of pneumonia at the age of 35 in the Third Southern General Hospital in Oxford (probably the Examination Schools) and was given a funeral with full military honours at Holy Trinity Church on the same day as Charles Ward. The unveiling ceremony took place in October 1920, when General Fanshawe, with the Bishop of Oxford, read out the names of those who had fallen (photograph on front page of Oxford Journal Illustrated, 27 October 1920). Right: The churchyard cross to which the above plaque refers. Note: Holy Trinity parish in 1914 covered Headington Quarry itself, and stretched to Risinghurst to the east, Wood Farm to the south, and the present Roosevelt Drive to the west. Part of its boundary lies down the middle of Windmill Road (but the north end of Windmill Road, the west end of St Leonard’s Road, the north end of Gladstone Road, and the whole of Holyoake and Stile Roads are not in this parish).